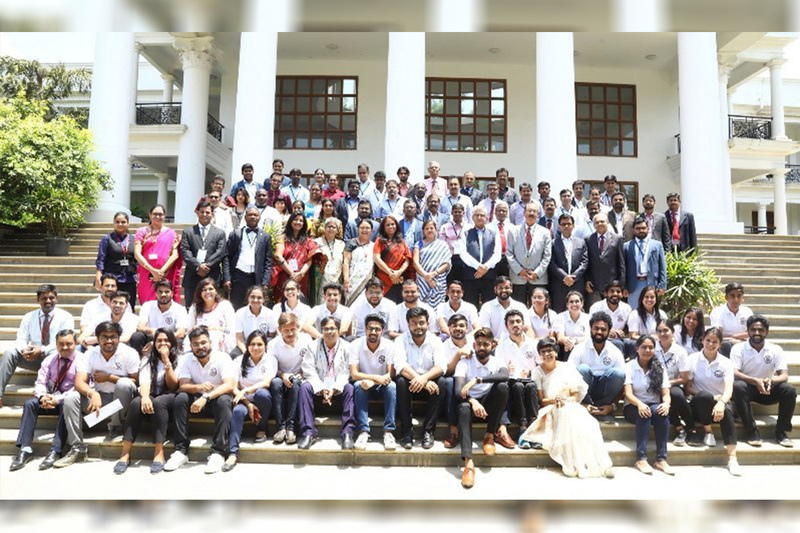 Alliance School of Business, Alliance University, held the International Conference on Global Challenges and Local Prospects in Management Studies [AMSICON] at its central campus in Bengaluru, between 11th and 13th April, 2019. 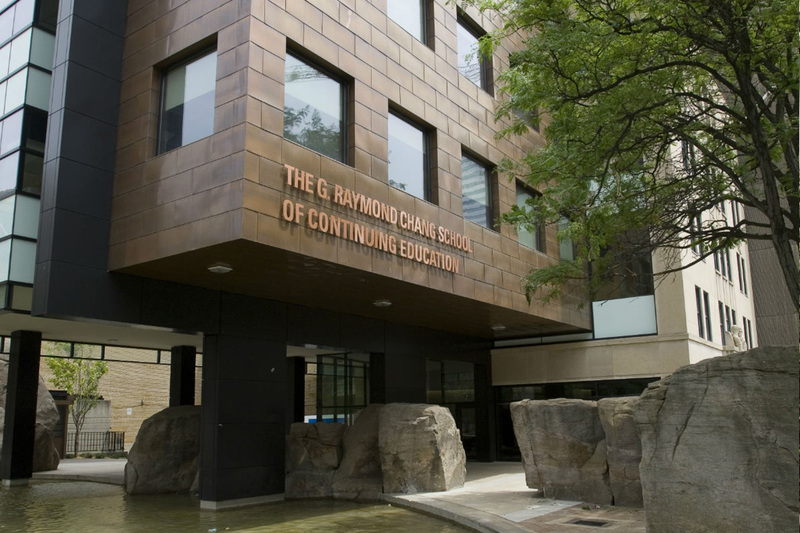 The conference served as the interactive forum for three days to present and discuss research results about the evolution of the international economics, business and the global financial system. The conference emphasised on the development of emerging market economies and their impact on international trade and commerce and their regulation. Thus, the conference presented varied tracks such as Social Media Analytics, Block-Chain Technology, Financial Analytics, Business Intelligence & Green Buildings, Feminism & LGBT Studies, Cultural Discourse & Developmental Studies. Dr. Asha Kaul, Professor, Indian Institute of Management – Ahmedabad, during her key note Address on 13th April, 2019, spoke upon ‘Decoding Communication through Social Media’. Dr. Kaul emphasized the significance of effective communication in organizations to secure both reputation and trust in the digital age with respect to consumers. The conference witnessed a myriad of unique international experts in the field of management studies, researchers, academicians, practitioners, leaders, policy makers, who shared their diverse experiences through fruitful discussions and debates and suggested solutions to the issues related to the challenges in business and society at large. The research paper titled ‘Digital Aided Image Construction: Research Insights on Virtual Social Selves’ by Dr. Ray Titus, Dr. Alex Fenton and Sejal Valera, in the area of Marketing, Operations & Systems. The research paper titled ‘Understanding Influence of Communication Satisfaction On Organizational Identification and Organizational Citizenship Behaviours: A Qualitative Study Among Knowledge Workers’ by Mr. Aniisu K Verghese in the area of Organizational Behaviour & Human Resources. The research paper titled ‘Aesthetizing The Cyborg Entity: Showing and Telling the Post human in Shelley Jackson’sPatchwork Girl’ by Jaya Sarkar from Birla Institute of Technology and Science- Pilani, Hyderabad Campus, India, in the area of Business Communication & Gender Studies. The conference concluded with the valedictory session with an announcement of the AMISCON – 2020 in the month of January, by the conference organisers. SFJAZZ Center –– Over 300 people, representing a broad and influential spectrum of leaders, decision makers and scholars from in and around the technology industry, gathered today at San Francisco’s SFJAZZ Center to hear Tristan Harris and Aza Raskin, Co-Founders of the Center for Humane Technology (CHT), launch Humane: A New Agenda for Tech – a powerful, more hopeful path for technology. Human downgrading is a systems-level explanation for how we ended up in the middle of a technology-driven existential crisis due to increasing the extraction of human attention. CHT’s new agenda calls on all technology creators to approach innovation to protect a deeper understanding of our basic human nature and focus on benefitting rather than “downgrading” humanity. A new and shared “systems-level” language and diagnosis that accurately describes the entire surface area of the global crisis connecting issues such as information overload, addiction, social isolation, outrage, polarization and election hacking, which downgrade our attention spans, relationships, children’s development, mental health, civility and democracy. Public events leading up to a Humane Technology conference in the next year. Design guides to facilitate assessment across human sensitivities and social spaces to help guide designers in redesigning their products. Launching “Your Undivided Attention” –– a new podcast hosted by Tristan Harris and Aza Raskin with interviews from some of the most sophisticated experts in human nature, giving us all new insight into how to diagnose and accurately address human downgrading. While most conversation around technology and AI was concerned with when it would surpass human intelligence, we forgot to think about what would happen when it surpassed human weakness. We are in that moment today. CHT’s New Agenda for Tech posits that all human beings are born with the same root vulnerabilities and that when they are exploited across billions of people over decades, the result is widespread systemic failure: addiction leading to depression and suicide, polarization leading to isolation and radicalization, election hacking leading to untrusted results, loss of attention, loss of ability to think critically, sleep disorders, etc. This is human downgrading. Policymakers — create policies that incentivize humane technologies, recognizing the limits of human nature and protecting citizens from human downgrading. Designers — instead of extracting attention by exploiting human sensitivities, design to protect our minds from manipulation and repair our shared social fabric. Technologists — hold their employers accountable for human downgrading. Media — create surround-sound public pressure to discuss and reverse human downgrading. Researchers — accelerate a unified study of how attention extraction and human downgrading harm society. 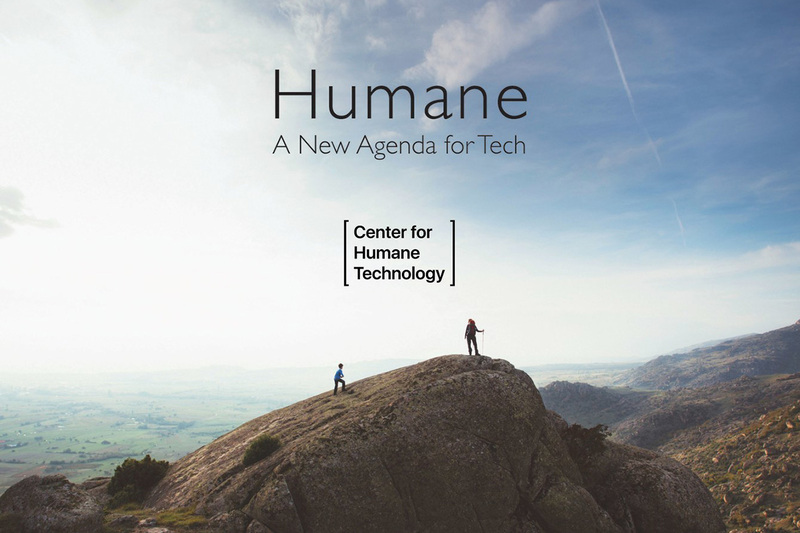 Humane: A New Agenda for Tech was live-streamed on CHT’s newly-updated website humanetech.com, and was attended by icons, founders, VCs, CEOs, designers and innovators from across the industry. A replay of the event will be available on CHT’s website soon at humanetech.com. For more information about how you can get involved in our Humane Agenda, go to humanetech.com.